SOUTH HADLEY – The man who died as a result of Friday’s early morning shooting at Anthony’s Gentlemen’s Club in South Hadley has been identified as 25-year-old Holyoke resident Jean Carlos Bones-Colon. The Northwestern District Attorney’s Office has not released the identity of the second victim. Officials say Friday’s fatal shooting at the club was not a random act of violence and are asking for leads from the public. South Hadley Police were called to 500 New Ludlow Road just before 2 a.m. Friday morning where two men had been shot outside of the gentlemen’s club. According to the Northwestern District Attorney’s Office, both men were brought to Holyoke Medical Center where Bones-Colon was pronounced dead and the other victim was treated for non-life-threatening injuries. First Assistant District Attorney Steven E. Gagne said there appears to be no threat to the public’s safety. “Although the investigation into this incident continues, it appears this was not a random act of violence, and there is no cause for public alarm,” said Gagne. Anyone with information related to the incident is urged to contact the South Hadley Police Department at (413) 538-8231 x306, or the Massachusetts State Police at (413) 587-5517. Members of the public may also leave anonymous tips by calling the South Hadley Police Department at (413) 538-8231 or by texting the Text-a-Tip program by texting PROTECT and a message to 274637. The incident is being jointly investigated by the South Hadley Police Department and Massachusetts State Police detectives unit assigned to the Northwestern District Attorney’s Office. 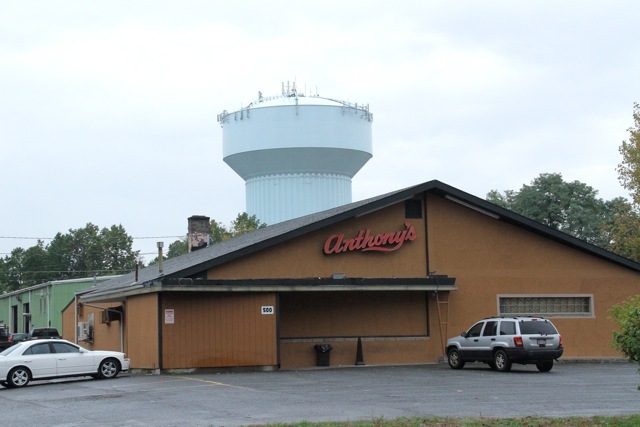 SOUTH HADLEY – Officials say Friday’s fatal shooting at Anthony’s Gentlemen’s Club was not a random act of violence and are asking for leads from the public. According to the Northwestern District Attorney’s Office, both men were brought to Holyoke Medical Center where one was pronounced dead and the other treated for non-life-threatening injuries. Police have not yet released the victims’ identities. SOUTH HADLEY – Two men were shot outside Anthony’s Gentlemen’s Club just before 2 a.m. this morning, according to Mary Carey of the Northwestern District Attorney’s Office. One man was fatally wounded. Identities of the victims have not yet been released. It is unclear if the shooting took place inside or out. The incident at 500 New Ludlow Road is being jointly investigated by the South Hadley Police Department and Massachusetts State Police detectives unit assigned to the Northwestern District Attorney’s Office. 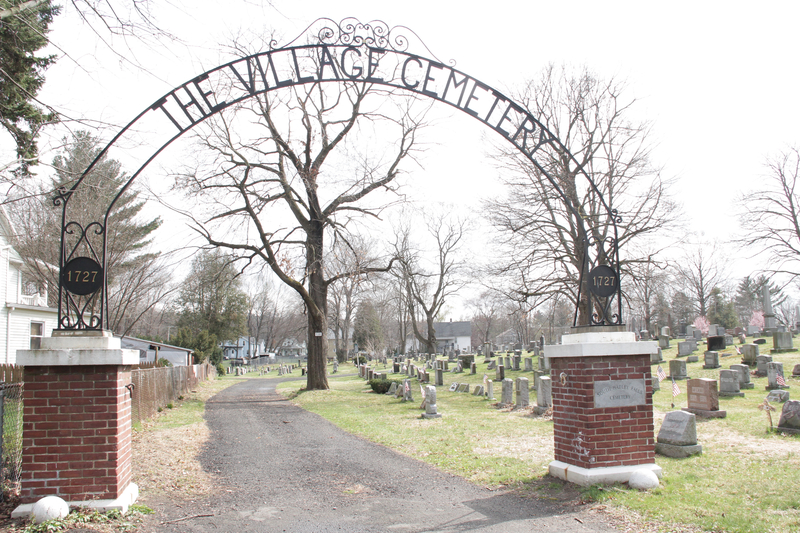 SOUTH HADLEY – Residents can take a stroll though South Hadley’s history Saturday, Oct. 27 during an evening Historical Lantern Walk through the Village Cemetery. The lantern walk, serving as a fundraiser for the South Hadley Historical Society, will offer an oral peek into the town’s past as six students from Pioneer Valley Performing Arts Charter School perform as six of South Hadley’s most historic residents, giving five-minute monologues near their respective gravestones all the while dressed in clothes from the time period. “It’s basically a fun night going out and learning about your history in a fun and entertaining way,” said Historical Society Board Member and Trustee Desiree Smelcer. Helping residents greater understand South Hadley’s history was her main goal when creating the informational but fun event. “By understanding who these people are, they become more real to residents and in turn, history becomes not just alive but part of them and not just part of the town,” said Smelcer. Josiah Barwell, born in 1778, a salt seller in South Hadley. He was the first to agree on water usage for the first paper mill in the area. He died in 1845. Joseph Carew, born in 1807, the son-in-law to Josiah Bardwell. He worked at a general store and negotiated with officials in Washington on behalf of local paper mill owners. He and his wife built the First Congregational Church on North Main Street. He died in 1881. Ariel Cooley, born in 1756, a veteran of the Revolutionary War. He owned the Taylor Mansion on North Main Street. He died in 1822. Daniel Lamb, born in 1735, a private in the Revolutionary War for three years. He owned nearly 1,000 acres of land in town and participated in the Shay’s Rebellion. He died in 1819. Mary Lyon, born in 1797, founded Mount Holyoke and Wheaton colleges. Oral lore has it that only half of her body is buried at her Mount Holyoke College gravesite, having been stolen by the girls from Wheaten Seminary. She died in 1849. Bessie Skinner, born in 1872, the daughter of Thomas Skinner. She taught in South Hadley schools until 1941. Their names familiar as many a South Hadley street has been labeled after them, Smelcer said the six historical figures were chosen for their significance around town, their interesting backgrounds and the contributions they gave. “We wanted a real history,” she said. The Historical Society Board Members offered their recommendations and eventually narrowed down their list to these six. Smelcer said she made sure to include two women on the list. The student-guided lantern walks will begin every 15 minutes, starting at 5 p.m. and last for a total of 45 minutes each. The walks end at 8 p.m. Residents are instructed to park at the Beachgrounds parking lot and walk across the street to Spring Street where the Village Cemetery is located. Tickets to the Historical Lantern Walk can be purchased on-site at a booth. Girl Scouts will be selling apple cider and hot chocolate following the walking tours to benefit the South Hadley Historical Society. Food and drink are not allowed inside the cemetery. Smelcer said the historical lantern walks are both funny and serious yet appropriate for all ages, classifying the event as PG. She encourages participants to bring lanterns or flashlights with along with them. They should “come with their listening caps on and expect a fun and very interesting night,” she said. A rain date has been scheduled for Saturday, Nov. 3 from 5 to 8 p.m. in the same location. SOUTH HADLEY – The town is set to become tag sale city during its infamous Columbus Day celebration of crafts, good food and great bargains. Mainly set on the picturesque town common beneath brightly colored leaves rustling with the autumnal breeze, crafters will assemble their goods and wares while residents line the street with tag sales Monday, Oct. 8. 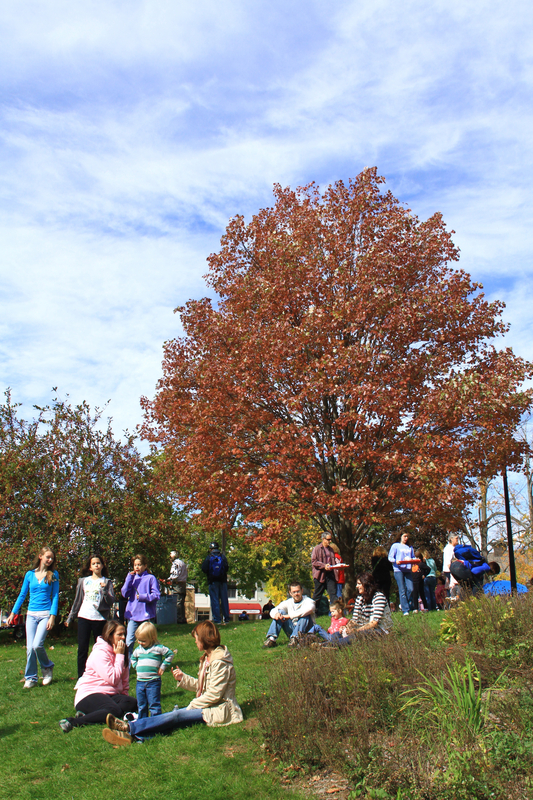 South Hadley’s Columbus Day Fair is a fabulous fall tradition that draws thousands of visitors from far and wide. All Saints Church has assumed responsibly of the event from the United Methodist Church this year with Rene Beauchemin leading the way. Officially vendors set up at 8 a.m. and soon after at 9 a.m., people start to trickle on in. A variety of vendors set up each year – from booths selling honey and sand art to homemade blankets and wooden salad bowls. The Center Church will host its annual a book fair and tag sale. April Marion will be offering Zumba on the town common for one hour during which any fairgoer who would like to try it out can for free. “A lot of regulars come back year after year,” said Beauchemin. Homemade food and baked goods, however, might just steal the show. All Saints Church is famous for its chili and baked potatoes. Fried dough carts pop up around the corner of the common and almost every other booth can be found selling a cupcake or sweet treat. This year, students from the Dean Tech Culinary Arts Program will be cooking up some delicious delights for fairgoers. “It’s such a great thing, especially if it’s cold out and you get a bowl of chili and you walk around and see everybody you know,” said Beauchemin. SOUTH HADLEY –The Green Bag program has reduced the amount of trash residents toss yearly by 17 percent and upped recycling by four percent since its inception last July. Total tonnage of trash has gone down by 713 tons compared to last year’s number of 4,204 tons. Dually, South Hadley recycled 1,491 tons of trash – 61 tons (four percent) more than last year. “Those are very good numbers,” said Department of Public Works [DPW] Superintendent James Reidy. While residents currently don’t pay a fee to dispose of trash because of the landfill hosted by the town, Reidy said if the DPW had charged to dispose of trash last year, South Hadley would have saved $50,000 with the reduction in waste via the Green Bag program. In 2007, a Solid Waste Advisory Committee [SWAC] was formed and charged with researching trash options for when the landfill’s capacity to accept trash expires and subsequently closes. Over the course of one year, SWAC met and reviewed all trash-related issues. They decided a pay-as-you-throw program would most benefit the town while simultaneously teach residents to reduce their waste by recycling as much as possible. In July of 2011, the program was implemented and residents switched over to using the required small or large green bags to dispose of their trash. Trash in any other bag than the green bags is not picked up and is labeled with a sticker explaining why the reason why it wasn’t accepted. Trash bags that are too heavy also generate a sticker notifying the resident of the issue, but are accepted if in the correct bag. As for why the amount of recycling tonnage was not closer to the amount of less trash tossed, Reidy said South Hadley residents, for the most part, were already recycling well. Additionally, the recycling total is calculated by tonnage, not volume. Nationwide, companies are making efforts to use less plastic in their containers and packaging as well as thinner boxes. Reidy figures the four percent recycling increase was generated by residents who were not recycling whatsoever. He doesn’t anticipate any major changes to the program in the future. Currently, a pilot program is being conducted using a new type of trash bag. Called a wave top bag, this trash bag doesn’t have strings to close the bag. Rather, it has four plastic flaps. Seventy people participated in the program, on which the DPW and Recycling Center are still compiling data. Reidy said it’s too early to tell if the DPW will make a switch. Prices of the trash bags will remain the same, at .50 cents per small bag and $1 per large bag. SOUTH HADLEY – Serious changes to South Hadley school meal menus will be implemented this year as part of the Healthy, Hunger-Free Kids Act created by the United States Department of Agriculture [USDA] and signed into law by President Barack Obama in 2010. The historic improvements change a system that has not been updated for more than 30 years. Approximately 32 million children participate in school meal programs nation-wide. And with percentages of childhood obesity throughout the country on the rise, these changes come at just the right time. The sweeping changes will focus on lunch in this 2012-13 school year with small tweaks to breakfast menus. The majority of breakfast changes will be phased in through the next few years, according to the United States Department of Agriculture. Serving guidelines have now been established for each grade level based on the nutritional requirements of those age groups – down to the required intake of different colored fruits and vegetables. Five cups of fruit and vegetables must now be offered to students on a weekly basis, rotating in color. For example, said Hoagland, on Monday, Sept. 10, South Hadley students will be served carrots. On Tuesday, they will be served steamed broccoli, followed by a legume on Wednesday and corn Thursday. The students are literally tasting the rainbow. Previously, there were no specifications as to which vegetables must be served. Now daily, students must be served between three-fourths of a cup and one cup of vegetables in addition to one-half to one cup of fruit. Eating colorfully reduces one’s risk of a bevy of diseases. Red fruits and vegetables, such as strawberries, tomatoes and peppers, contain lycopene, which fights against cancer. They also contain antioxidants. Orange fruits and vegetables, such as sweet potatoes, cantaloupe and carrots, contain carotenoids like beta-carotene. These contain vitamins B and C, folate and reduce the risk of heart attacks and improve immune function. Dark greens, such as broccoli, collard greens and spinach, contain lutein which keeps eyes healthy. The greens are also sources of folate and Vitamin B. Beans and peas, also known as legumes and excellent sources of protein, are required to be provided during the week in addition to starchy vegetables like corn, green peas and white potatoes. The beans and peas can serve as a meat alternative. Finally, a subgroup labeled “other” in the Act requires other vegetables like onions, green beans and cucumbers, to be served. Minimum ranges of grain intake varies from each grade level. Grades K-5 must be served at least one ounce daily and eight to nine ounces weekly. For grades 6-8, students must be served a minimum of one ounce daily and eight to 10 ounces weekly. Finally, for grades 9-12, students must be served at least two ounces at a daily minimum and 10 to 12 ounces weekly. In the past, all grade levels were given eight servings of grains per week with a minimum of one serving per day. “You really need to watch the menu so you’re not offering too many grains,” said Hoagland. Snacks like cookies and pretzels must be 51 percent whole grain. The same goes for pizza dough, hamburger and hot dog buns, bagels and pasta. “A lot of vendors are following the guidelines,” said Hoagland, adding that all food vendors are aware of the new standards. No more are the days when a student could purchase a soda or sugary drink in a vending machine at school. South Hadley schools have removed all such vending machines. And with these new Healthy, Hunger-Free Kids Act changes, drinks like Snapple and Gatorade are gone, too. “Drinks have to be naturally sweetened,” said Hoagland. The only beverages schools can offer and sell in addition to milk are water and 100 percent juices. “It’s going to be a culture shock for the kids,” he said. Changes to milk and meat/meat alternative servings are not as significant but important. One cup of milk is still required to be served every day. But now, the milk must be fat-free in the flavored and unflavored varieties (similarly for lactose-reduced or lactose-free types) or one percent low fat unflavored only. Meat and meat alternative servings, once previously suggested between 1.5 and 2-ounce minimum servings daily, have been cemented at a minimum of one ounce daily for grades K-8 and two ounces daily for grades 9-12. Tofu and soy yogurt are allowed as meat alternatives for vegetarian students. As further changes are implemented through the next few years, calories will be limited based on students’ ages for proper portion sizes, and food service directors will focus on reducing saturated fats, trans fats and sodium in each meal.